Laura is an award winning filmmaker with credits as producer and actor including Andrea Arnold’s American Honey: Cannes 2016, The Sublime and Beautiful :Slamdance 2014, Earthwork, The Only Good Indian: Sundance 2009. Laura Kirk co-wrote and starred in the film Lisa Picard is Famous: Cannes 2000. 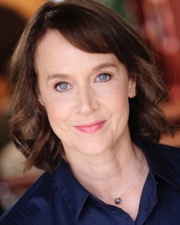 It is included in John Gaspard’s book “Fast, Cheap and Under Control ...Lessons Learned from the Greatest Low Budget Movies of All Time.” Laura is a co-founder of the mentoring group “Women of Lawrence Film” and teaches at the University of Kansas for both theater and film.